Lost in the mammoth success of the later Pixar films, A Bug's Life usually takes a back seat to the other works from the studio. Still, it remains an impressive film, with great vocal talent, plucky characters and superb visual inventiveness. 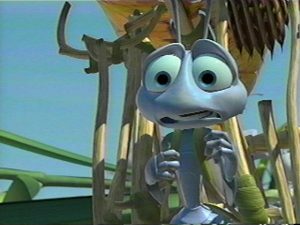 You may be busy frantically gathering grain before the grasshoppers return, but please take a moment and prove how well you know A Bug's Life.